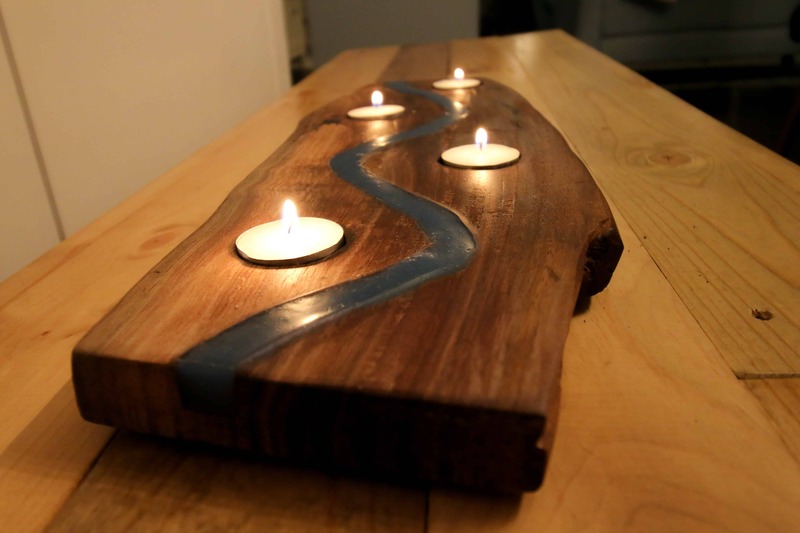 I made this easy epoxy river candle holder for my mom for Christmas. It makes a great gift for the candle lover in your family. 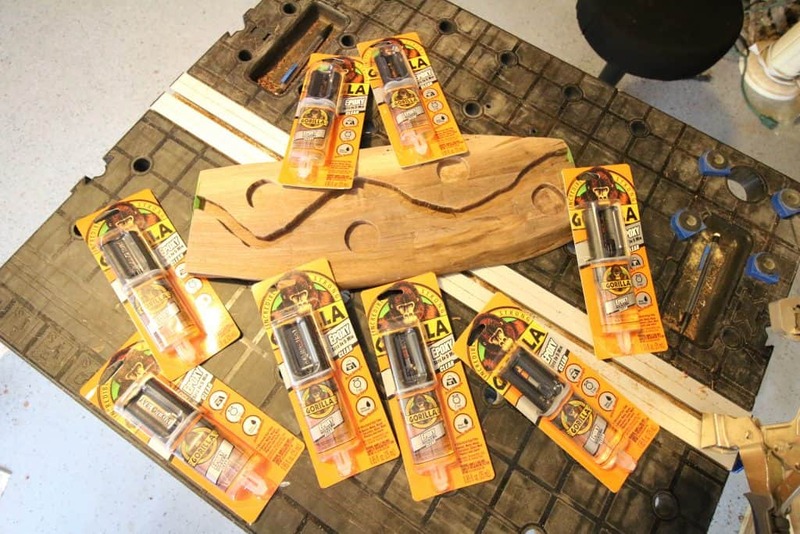 It doesn’t take lots or tools or equipment and is very customizable. 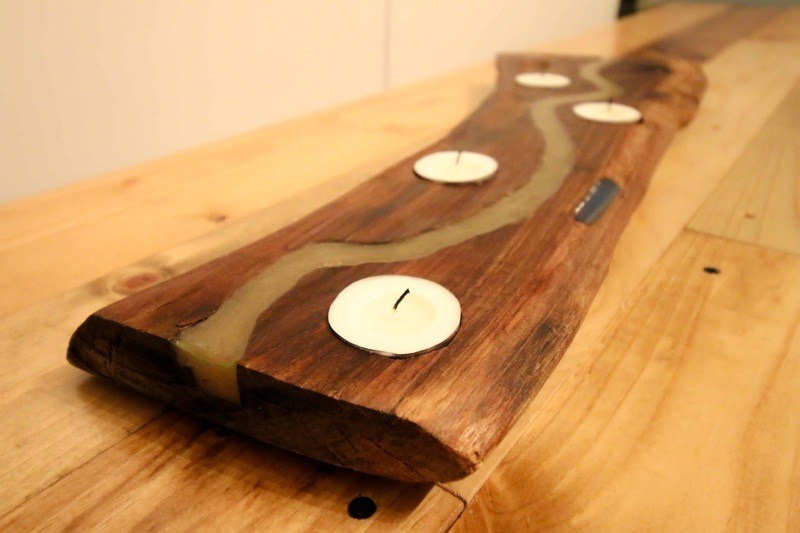 This live edge epoxy river candle holder is also made much easier with Gorilla Glue Two Part Epoxy versus expensive resins. 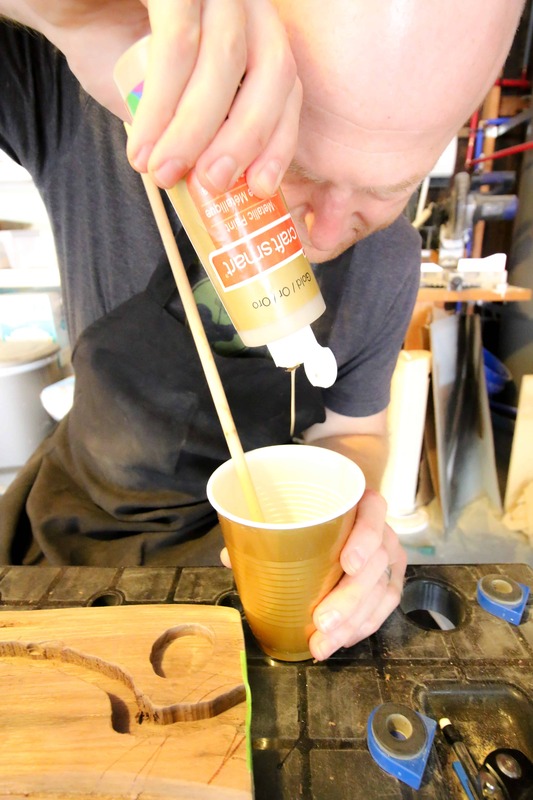 I used this same epoxy to make a live edge river table, too. Start by tracing on your board where you want the river to go. Don’t make it too windy, but more like natural curves. Make sure there is space for at least four tealight candles. Trace those circles as well. 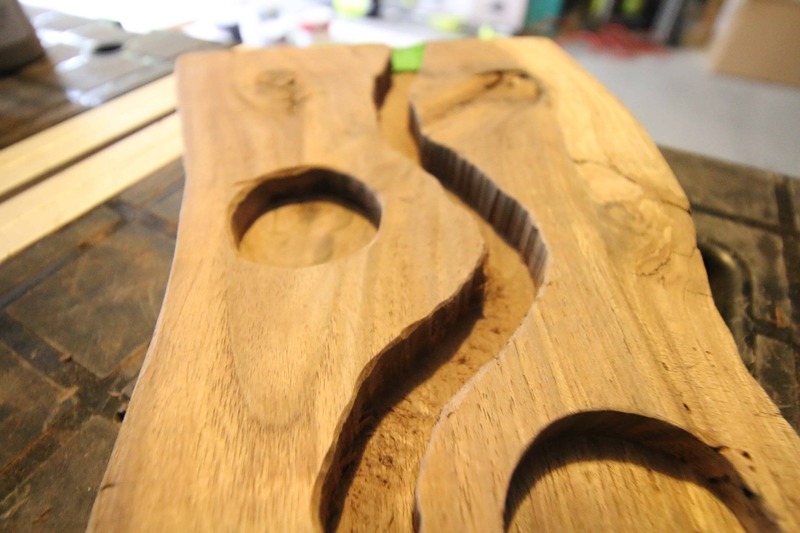 Clamp your board in place and use a router to carve out the river you traced. Set your router to be about three quarters of the thickness of the board. 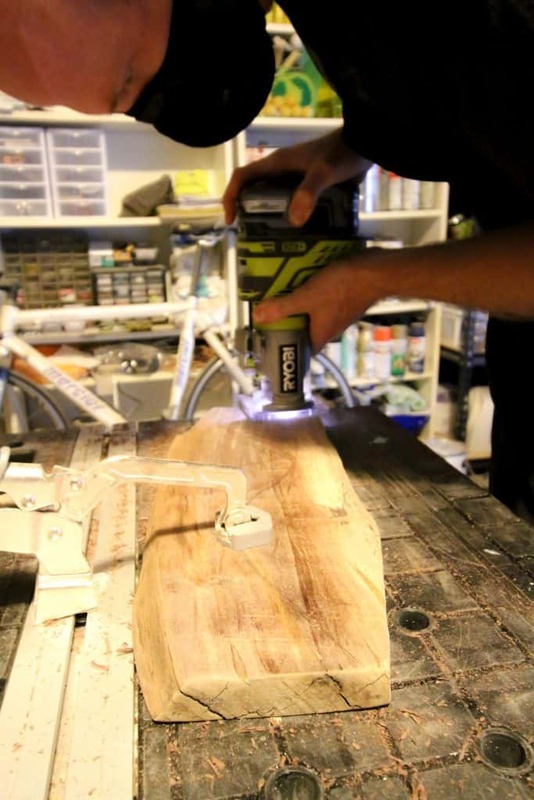 Use the router to carve out three holes the size and depth of a tealight candle. Sand down the board completely. Use painters tape to seal off the edges of the board and create an edge. Using Gorilla Glue Two Part Epoxy, squirt out enough tubes to fill your river. For me, it was about six tubes for a half inch depth on a board about 18 inches long. After you mix the epoxy together, drop in a few drops of whatever color craft paint you want and mix that together. 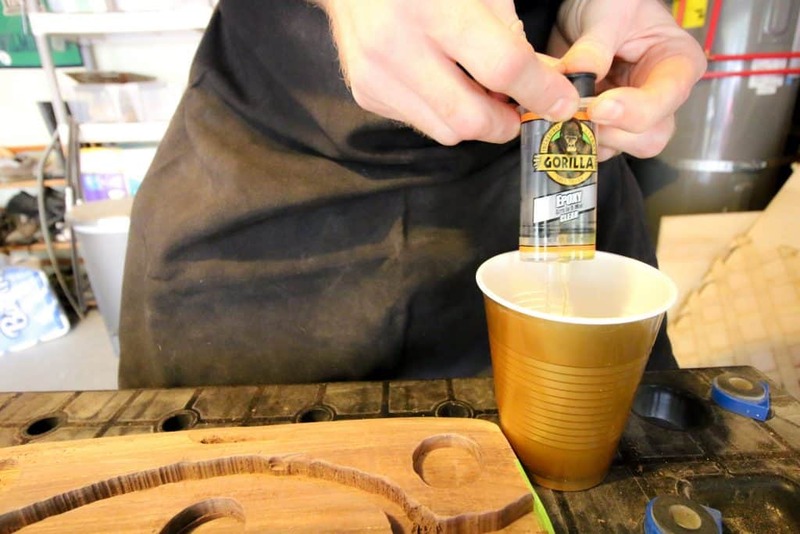 Pour in the epoxy evenly throughout your river and let dry 24 hours. 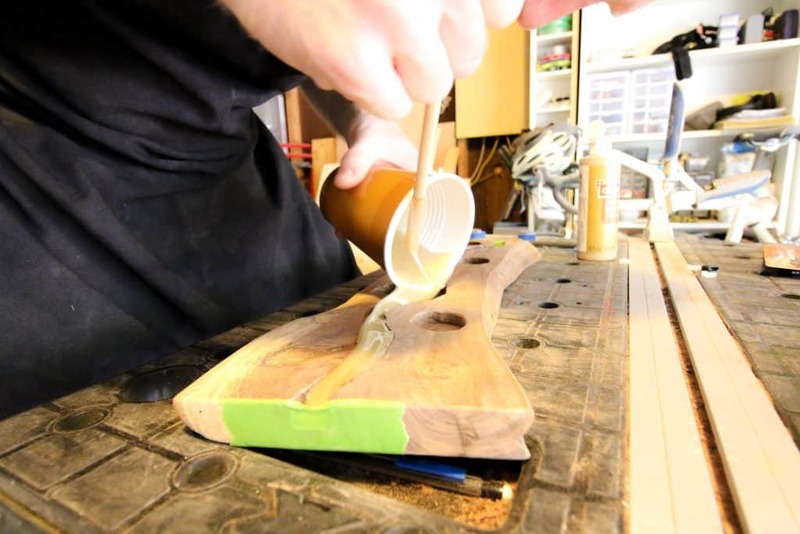 Sand off any excess epoxy and then oil and seal the board. Add little felt feet to the bottom as well so the board doesn’t scratch the surface it will be used on. This epoxy river candle holder is super easy to make and makes for a great centerpiece. Make your river a color that will accent your decor or the decor of whomever you’re gifting it to. It is beautiful on my table. I love it. 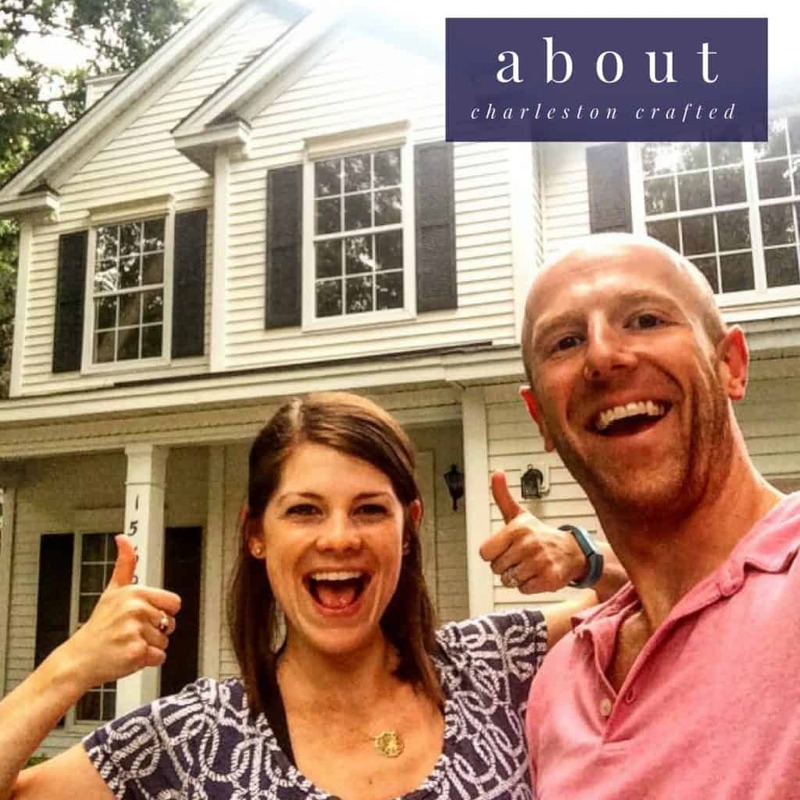 Where do you find your live edge wood, in Charleston? Hey Kelly! So the wood for this project were cut offs from our live edge shelves. I got those beams from a guy on Facebook Marketplace. He’s always posting about having new wood that has to go before his wife gets mad at him. There are others listed as well, but just have to wait for the right time.